Palghar is a town and a municipal council located about 87 kms north of Mumbai in Maharashtra. It is well connected through roads and railways. The place is home to many beautiful beaches and temples. If you love the water waves and the cold breeze that flows along them, Palghar is really the place for you. 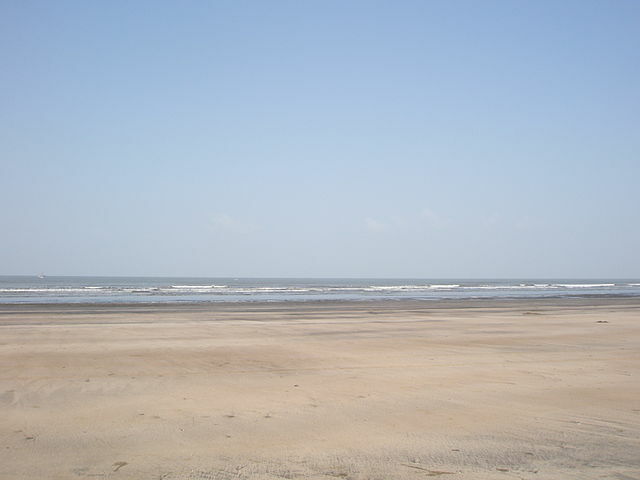 Chinchani beach, Mahim Beach, Shirgaon Beach, and Satapi Beach are some of the well-known beaches. Palghar is most famous for its production of “chikoo” (Sapodilla). They even have a special festival dedicated to this fruit, called the Chikoo festival. Listed below are some of the must visit places of Palghar. Manor is known as the gateway to Palghar. It is located on the banks of Vaitarna River. It is a peaceful town, a perfect getaway from the hustle and bustle of the city. “The Silent Hill Resort” is a major attraction of Manor. This is a quite famous resort, along with a water park. You can also find the Pooja farms here. This region is most known for the earthenware products which are produced in abundance. It is located very close to the Shirgaon beach. Shirgaon fort is believed to have been inhabited by the famous Maratha ruler, Shivaji. Like most of the other historic forts, this fort was used to keep a check on the whereabouts and movements of the enemies and protect the royalty from them. Though the fort is almost in ruins now, evidences have been found within and outside the monument that suggest that it was once used by Shivaji. There is also a green palm farm here that soothes many eyes. The Kelva beach is the most popular beach because of its large stretch that expands over 8 kilometers. Suru trees surround you on the walk. It is believed to be one of the cleanest, untouched and silent beaches of India. As not many people know about this beach, it remains a treasure for the people who are aware of it. However, as time is passing, people are coming to know about it and it is beginning to get crowded. The best time to visit this beach is during sunrise or sunset. The cool breeze that sways along the coast, the rhythm of the waving leaves and the sounds of the crashing waves is just the perfect way to start or end your day. As the name might suggest, the fort is located near the Kelva beach itself. One can reach Kelva fort by walking for about an hour along the beach. The fort is well fortified with the walls intact. It is always amusing to see the work of old architects. It was built by the Portugese in the 16th century and then later conquered by Shivaji. However, the fort can only be visited by climbing the wall. It is said that this fort was used by Shivaji for defense purposes. It is an ancient Ram temple that lies close to a Sitladevi Temple. Legends have it that King Rama along with his younger brother, Laxmana were imprisoned by Mahiravan and Ahiravan right here in their time. Lord Hanuman had rescued them and ever since that spot has become an important place for the Hindus. The temple was renovated in the year 1994. Now, Ram Navami is one of the most important events that happen here. Specials ‘poojas’ and ‘artis’ (different ways of worshiping) are done on Thursdays and Saturdays. This place has something or the other for all kinds and ages of people. From kids to old people, everyone would have a great time in Palghar. The best months to visit this place are February, March, September, November and December. The local attractions can be visited at any time of the day. Visiting Palghar once will definitely make you want to visit it over and over again.